This post discusses the plot of Big Little Lies. 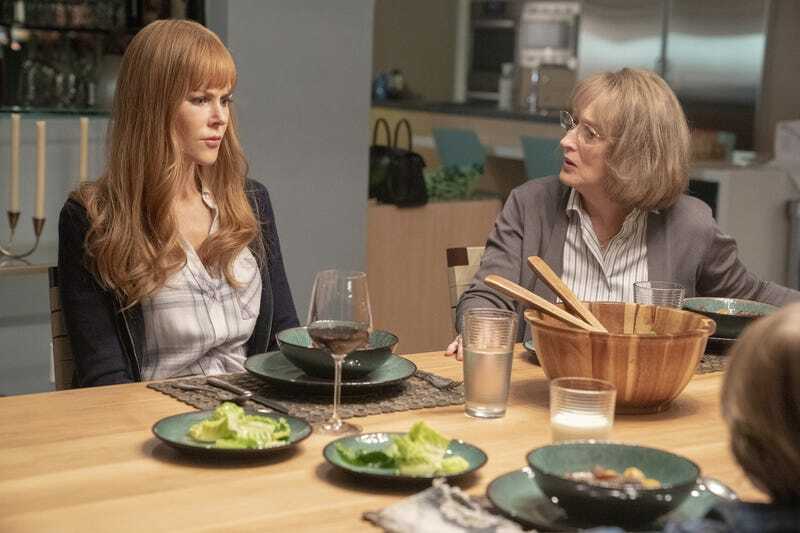 Big Little Lies was a blockbuster TV event in 2017, and Hollywood tends to want its blockbusters to multiply, which partially explains why new episodes of Big Little Lies will be airing in June 2019. But how did HBO manage to get a second season out of what was billed as a miniseries, one that was based on a novel that doesn’t have a sequel and starred some of the most in-demand actors working today? Well, it certainly helps if one of the most in-demand and most-decorated actors of her generation wants in. “What was unsaid, un-shown, unknown, was the gravitational pull of the piece,” Meryl Streep said today while promoting Big Little Lies’ second season at the Television Critics Association winter press tour. Streep joins the show as the mother of the abusive Perry Wright, whose murder formed the whodunit (and the “who was it done to?”) of the initial miniseries. Her character was named Mary Louise—Streep’s birth name—in the hopes that the three-time Oscar winner would be interested in the role. There was minimal talk about what occurs in season two, though a sizzle reel played prior to the panel showed the members of the newly christened “Monterey Five”—Madeline Martha Mackenzie (Reese Witherspoon), Celeste Wright (Nicole Kidman), Jane Chapman (Shailene Woodley), Bonnie Carlson (Zoë Kravitz), and Renata Klein (Laura Dern)—under the increasing pressure of their shared secret. Whatever happens in these episodes, Witherspoon said it’s all based on a template provided by Big Little Lies author Liane Moriarty.